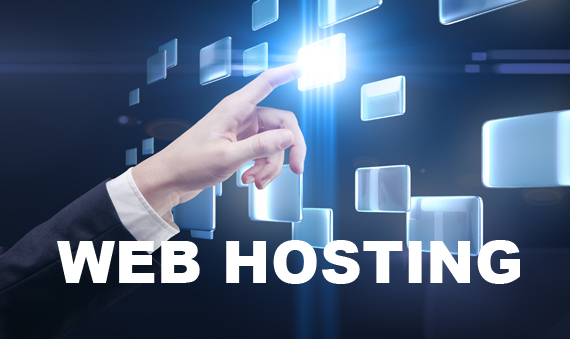 If you are a professional or a business owner looking to showcase your talent to the world or to scale up your business by setting up a website, then this blog will help you understand web hosting and its implications. For newbies just starting out with a website of their own, terms like web hosting, cloud servers, hosting plans, domain names etc. can be unnerving and confusing. By the time you finish reading this write-up you will have a working knowledge of web hosting and why it is important to choose the right web host. A website contains pages full of text, images, and videos. Web hosting is what makes the website available to a worldwide audience. To make your website available to the general public, all those pages need to be hosted on a web server, which is nothing but a specialized computer which stores your website and makes it accessible to users on the internet. To make this happen, you need purchase space on a web server in order to store your website on it. There are many companies which provide web hosting services and are called web hosts. A web host rents out space on their servers for website owners to make their website accessible on the internet. A lot of web hosts don’t own their own dedicated web servers and rent them from large companies which might own data centres, which is a collection of servers, and in turn rent out the space to people looking to get their website on the internet. Under shared web hosting, several website owners share server space on one server. Shared hosting has its pros and cons, but this mainly depends on the requirements of your business. For small business owners and for simple websites that are not riddled by features and typically don’t see a substantial amount of traffic, shared web hosting perfectly suits the bill. Compared to dedicated and cloud hosting, shared web hosting is relatively cheaper. But if you have an ecommerce website or one which has a lot of features and sees substantial amount of traffic, then shared web hosting might not be suitable for you as it tends to get affected by other websites stored on it. A dedicated web hosting server is one which is completely dedicated for your website. These servers are faster than shared servers and are great for websites that attract a substantial amount of traffic like ecommerce websites or ones with a lot of high performance features. The difference between shared and dedicated hosting can be compared to living in an apartment complex versus living in an independent house. The latter, obviously, is going to be more expensive. That’s why dedicated hosting is more expensive as the cost of the server is not shared by other website owners. Cloud hosting is midway between shared and dedicated servers. It relies on a number of servers which are interconnected but act as a single system. Cloud web hosting has many advantages and is becoming the preferred hosting service due its cost effectiveness. It offers more flexibility to users and also since a website does not rely on a single server, it offers more security as well. Web hosts offering cloud hosting provide users with the option to increase or decrease their resources as they are charged on the usage, making it cost effective. Apart from web servers, web hosting companies offer customers with a number of services like website building, programming, and numerous customer support options along with free domains, content management systems, email accounts etc. Before you select a web hosting company, ask them about the disk space (for storing your website), bandwidth (amount of data that can be transferred), and the uptime (the time a server stays running) that they offer. Most web hosts offer many different plans for personal websites, small businesses, and large ecommerce websites. Therefore, always compare web hosting companies, the features and costings before you choose the hosting service.